Enter your email to learn the secrets of travel bloggers. Inspiration for your next trip + advice on everything you need to get there. When travellers think of castles, they usually think of the medieval icons in Germany or the United Kingdom... but castles in Canada? No, that usually doesn't make the list of countries with fabulous castles. Yet it's true. Victoria, B.C. 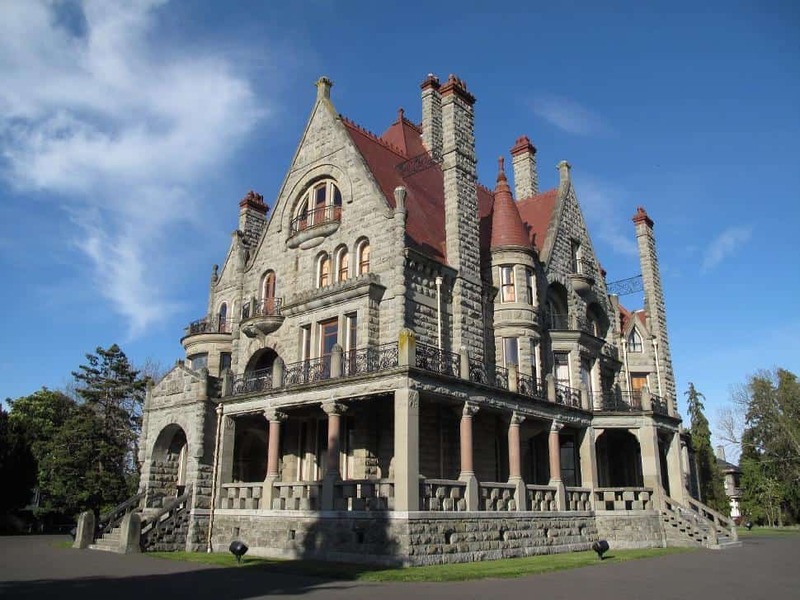 is home to one of Canada's few awe-inspiring castles: Craigdarroch Castle. A half-hour walk from Victoria's Inner Harbour, this legendary landmark sits massive and lonely astride a hill overlooking the city, reminding those who visit it of the history and the man who built it. While Craigdarroch Castle looks like it would fit in perfectly during the time of swords and lords, it was actually built between 1887 and 1890 by Scottish immigrant and industrialist Robert Dunsmuir. The castle was built in the Scottish Baronial style, but today serves as a better example of a "bonanza castle". Bonanza castles are classified as massive mansions built by entrepreneurs that became wealthy during the industrial age. Such was the case of owner Robert Dunsmuir who made his fortune from Vancouver Island coal. Like most bonanza castles, Craigdarroch announced to the world that Dunsmuir was the richest and most important man in this area. Craigdarroch Castle stretches over 2,000 square metres and houses 39 rooms. It is believed to have cost around $500,000 when first built. The construction includes granite from British Columbia, tiles from San Francisco and an oak staircase that was imported from Chicago. 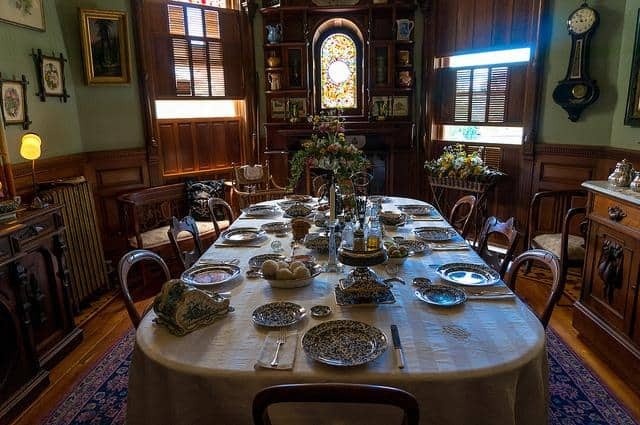 While the castle is still dressed in 1800s’ Victoria-era furnishings, it is known for its stunning stained glass designs and intricate interior woodwork. The castle's name, Craigdarroch, means "a rocky oak place" in Gaelic and its design lives up to that name. The exterior is made of beautiful gray granite while the interior is given a warm atmosphere through the extensive use of wood. During the time period, it was thought that being surrounded by artistic beauty, such as the decor in the castle, would lead to a better development of personality in those that lived there. Sadly, Robert Dunsmuir died before he could see his home completed. After Dunsmuir's death, the home was finished by his son James, but Craigdarroch Castle was left to his wife Joan. After her death in 1901, the estate passed through the hands of a number of land developers. The castle has served a number of uses, including housing a college, a hospital and a music school. These operations have left scars on the estate, but it was majorly refurbished in 1979 when it was purchased by the private non-profit Craigdarroch Castle Historical Museum Society. Craigdarroch also counts "movie set" among its many roles, including such films as Little Women (1994), Spooky House (2000) and Cats & Dogs (2001). 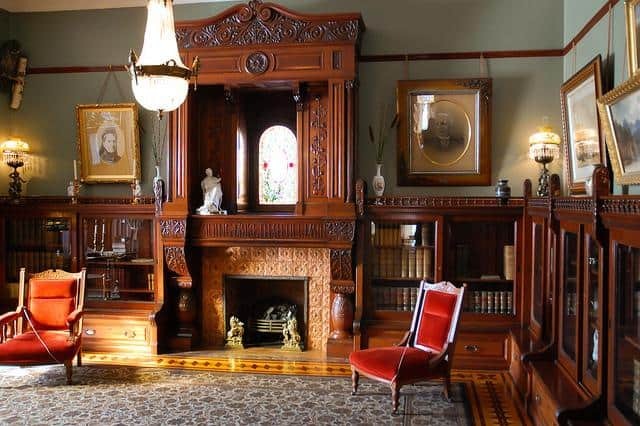 Since 2000, Craigdarroch Castles has also served as the stage for several theatrical productions including The Importance of Being Earnest, The Picture of Dorian Grey and The Fall of The House Usher. The castle is now open to the public and attracts an average of 150,000 visitors per year. Tours of the castle are self-guided, but with advance notice, enhanced group tours can be arranged. Upon entering Craigdarroch, guests will be given a map and freedom to explore the 39 rooms. Of course, before stomping around this beautifully maintained mansion, visitors will need to clean their shoes with a unique electric shoe brush. Visitors will climb to the fourth floor via a magnificent oak spiral staircase and tour through the rooms, some of which are preserved from Dunsmuir’s time. From the impressive billiards table in the games room, to the extensive collection of leather-bound books in the library, each of Craigdarroch's 39 rooms is a treasure to explore. While on the lower floors, visitors will be enthralled by beautiful stained glass. In the fourth floor dance hall, guests will be treated to views of the snow-capped Olympic Mountains to the south. Upon climbing the tower, they will have panoramic views of Victoria and the Straits of Juan de Fuca. After climbing to the top of the castle, guests are then taken down to the servants’ quarter. This area is a much less grand affair, but provides an accurate portrayal of where common folk lived and worked. The castle and its manicured grounds are also available to be rented out for weddings, cocktail parties, dinner parties and photography. However, a day of having Craigdarroch all to yourself will cost between $300 to $4,000, depending on which package guests choose. In a city filled with charms, it is easy to miss Craigdarroch Castle. However, visitors to the area will be sad they did. Craigdorrach is as close to a magnificent European castle as visitors are likely to see in North America. This imposing stone behemoth sits proudly over the city giving it an air of sophistication and history. 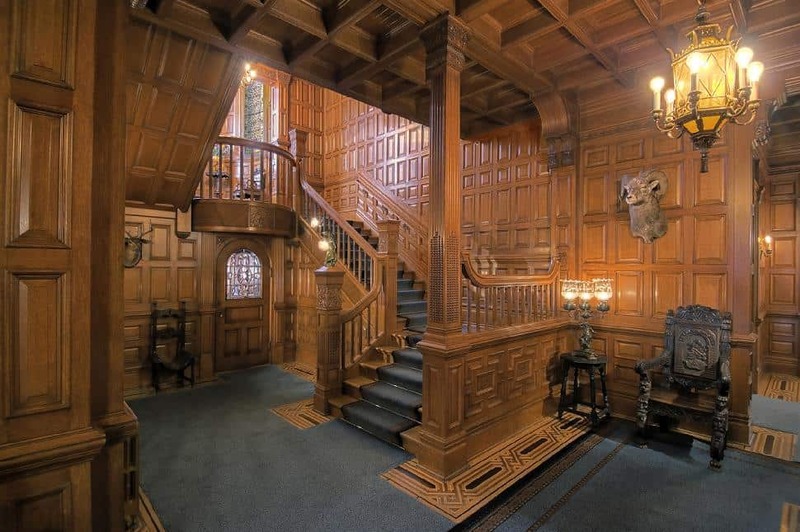 Craigdarroch Castle has truly earned its spot as not only a Victoria landmark but a National Historic Site of Canada as well. 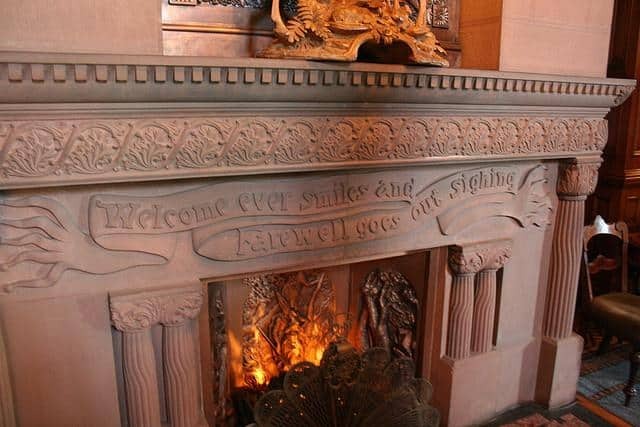 Have you visited Craigdarroch Castle? Let us know - comment below! Insider guides to everywhere, win trips to exotic locations, exclusive travel deals & discounts and more. Travel with us, Canadian style! Who is up for some cherry pie with a side of goats on the roof? Break free from grey skies and head south, where umbrellas are for shade not rain. Well, what are you waiting for?! Hops to it, already! Costa Rica feels like the superfood of travel; feel-good travel for mind, body & soul. Forget the California you (think) you know. Our writer heads north to swap palms for redwoods.